LabNet Profi is more than just the operating software for your LabModul test bench. LabNet Profi is a newly developed, complete testing and device management software for your respiratory protection workshop. LabNet Profi is constantly being developed in consultation with our customers. Extensive updates are free of charge for you and can be carried out via the integrated program update via the Internet. 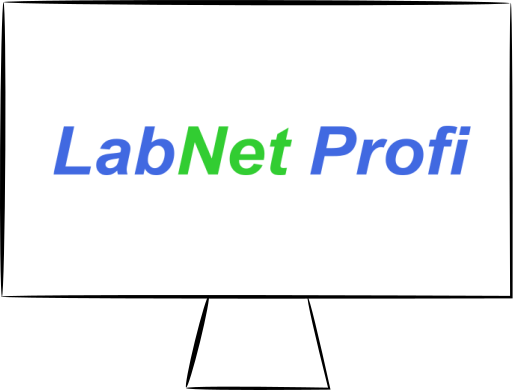 LabNet Profi is suitable for multi-user operation. Several workstations work on a dataset that is stored centrally on a server. Networking multiple workstations does not require a separate server license. LabNet Profi is flexible and expandable. Special modules such as tools for workstations without a test device for pure administration or a mobile version for mobile, parallel test operation outside the workshop provide a perfect complement to their work. When upgrading from LabtronicNT or LabNET 2.5 / 2.6 to LabNet Profi, you can keep all your data. Our staff will assist you with the migration of the old data and the commissioning of the new software LabNet Profi. Thus, they manage the migration to Microsoft Windows 10® without data loss. We also offer a migration service for third-party software!